If you’re in New York, spend an evening with the authors of Barnum Brown: The Man Who Discovered Tyrannosaurus Rex at the American Museum of Natural History on October 21st at 7pm. Mark Norell, chair of the Museum’s Division of Paleontology, and Research Associate Lowell Dingus will be signing books and sharing stories from Barnum Brown. The event will also include a viewing of archival images, illuminating a fascinating era in the Museum’s history. Space is limited, so reserve your spot early. If you live elsewhere, you don’t have to miss out on the fun. 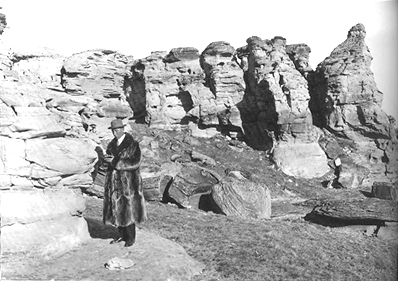 Read Barnum Brown’s notebooks from his early fossil-hunting expeditions online at the American Museum of Natural History. Or listen to this interview with Lowell Dingus on the Illinois Public Radio show Focus.